Direct Thermal Labels manufactured in our factory include substrates that range from cost effective econo thermal to coated and double barrier coated thermal top-sheets. 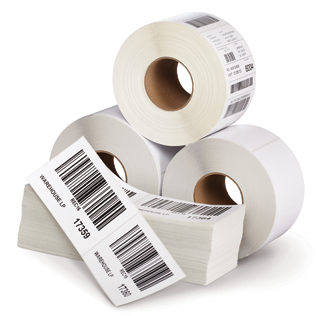 Direct thermal printing does not require a ribbon and is most commonly found on fast moving consumer goods where a long shelf life is not expected. Print on Thermal labels fades over a period of time and exposure to direct sunlight will cause the paper to discolour which will ultimately affect the scannability of the barcode. It provides a cost effective label printing solution but barcode printer printhead wear is a consideration when using this method and should be taken into account in the overall cost per label calculation. Adhesives for this product include Acrylic, Hot Melt, Removable and Deep Freeze and it is suitable for industries ranging from retail to warehousing, shipping, receiving, work-in-progress and inventory management applications. 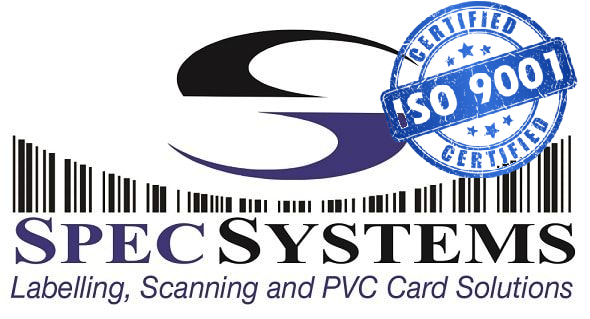 Compatible with Argox, Citizen, Zebra, Intermec, Sato, Datamax and other thermal transfer printers. See our range of Thermal Printers. We offer roll and fanfold formats for all of your printing needs. This product does not require the use of a thermal transfer ribbon.